Feel right at home during your stay at our recently renovated hotel in Naples, Florida, located in the center of all the action and just a few minutes from the beach! Whether you are traveling for business or leisure, youll love our hotels downtown location which puts the best of Naples at your doorstep. Large groups and youth sports teams are perfectly accommodated at our Naples hotel. 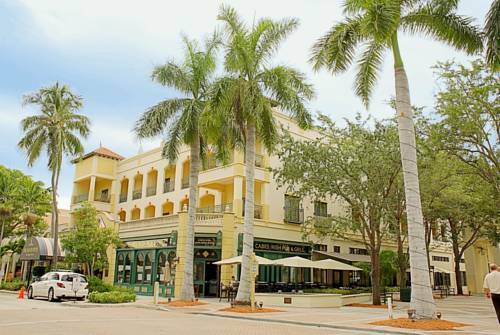 Enjoy the beautiful white sand beaches in Naples, visit the Naples Pier, and indulge in a little shopping downtown. Settle into one of our spacious guest rooms or suites, each featuring a full-size desk, complimentary high-speed Internet, plug-in technology, a flat-screen TV and in-room coffee service. Healthy breakfast choices, a variety of dinner options, delicious cocktails, and Starbucks beverages await you at The Bistro, conveniently located on-site. For added relaxation, soak up some Florida sun around our refreshing outdoor pool or work off the day's stress in our well-equipped fitness center.